Emergency Preparedness is so important in this crazy and unpredictable world. In this post we talked about 3 steps you can do to jumpstart your emergency preparedness. If you haven’t read that post, I highly recommend you start there. If you have done those things: 72 Hour Kit, Personal Document Storage and Digital Photo Storage, then we are ready to move on to the next step: Food Storage. 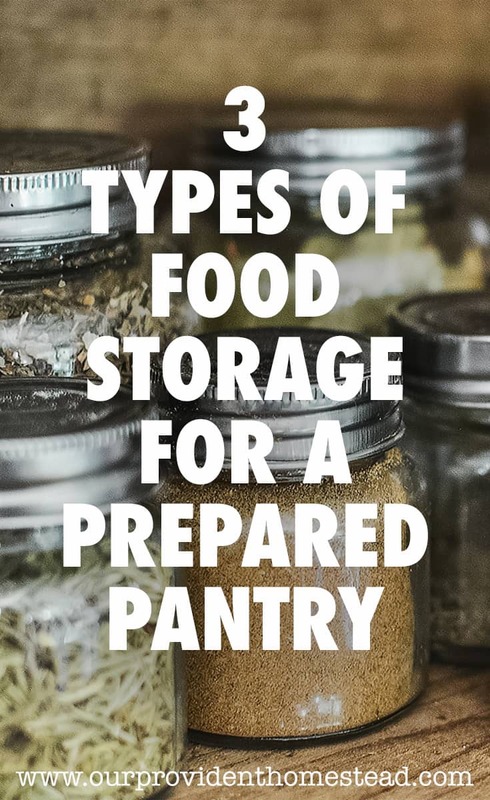 There are many ways to get your food storage started to protect your family from natural disasters, job loss and other emergencies. I have dwindled it down to three main types with pros and cons for each. This type of food storage is purchased all at once or in increments. It is packaged by calorie count and by number of individuals that will be consuming it. It can be found at Amazon, Emergency Essentials or other retailers. It is a quick way to get your food storage together. You don’t have to think about it much. It is all together in one spot. Most of these types of foods are shelf stable for 20-30 years, so you won’t have to replace it for a long time. You don’t get to chose what you eat. Advice: If you choose this option, taste test a few brands first before you buy very much, to see if it is eatable. While you might eat anything if you are starving, it would be better in a stressful emergency situation to have good tasting meals to eat for your family. 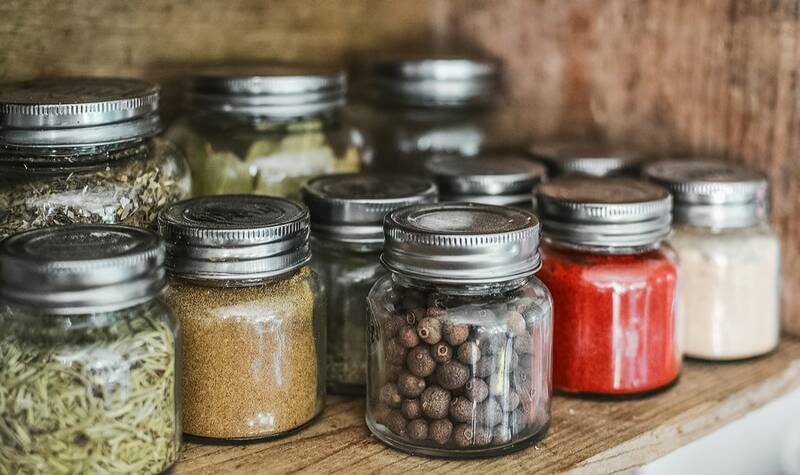 For this type of food storage, you would buy many buckets of dietary staples such as flour, rice, beans, sugar, oats, powdered milk and other staples that have a long shelf life. It can be found at Amazon, Emergency Essentials or other retailers. It is cheaper than prepackaged food. You can make more varieties of food with these staples. You need to know how to cook with these staples in order for this plan to work. You need to practice before an emergency so you know how to use them properly. If you have never made homemade wheat bread or your family doesn’t cook with beans, it can be bad for the body to all of the sudden eat alot of beans or wheat. It will take alot of space to store these bulk items in your home. Advice: If you choose this option, you need to do some advance work so that you will be prepared to use the products in an emergency. In a high stress emergency, you don’t want to increase the stress by having to learn to cook things you have never cooked before. To find out how many staples you need for this method: look at this table. Buying food that your family eats regularly is the third food storage option. In this option, you figure our 7 or 14 meals that your family loves and convert them into food storage recipes. Then you multiple by however many weeks you are planning for. You can find this food at any grocery store or online. Your family already knows how to cook this food, so the learning curve is shorter. Your family already likes the taste of these meals, so it won’t be a shock to the system. You can buy the ingredients as things go on sale instead of in bulk. It will take many hours of planning and organization to properly install this kind of food storage. 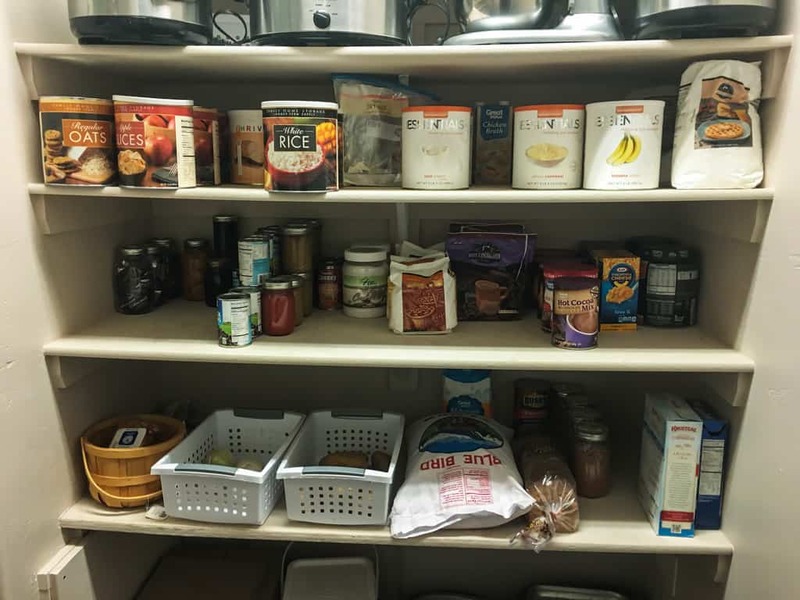 You will need to be on a rotation plan for this food storage because some of it will not be shelf stable for 20-30 years like other food storage. It will take more room to store food like this. 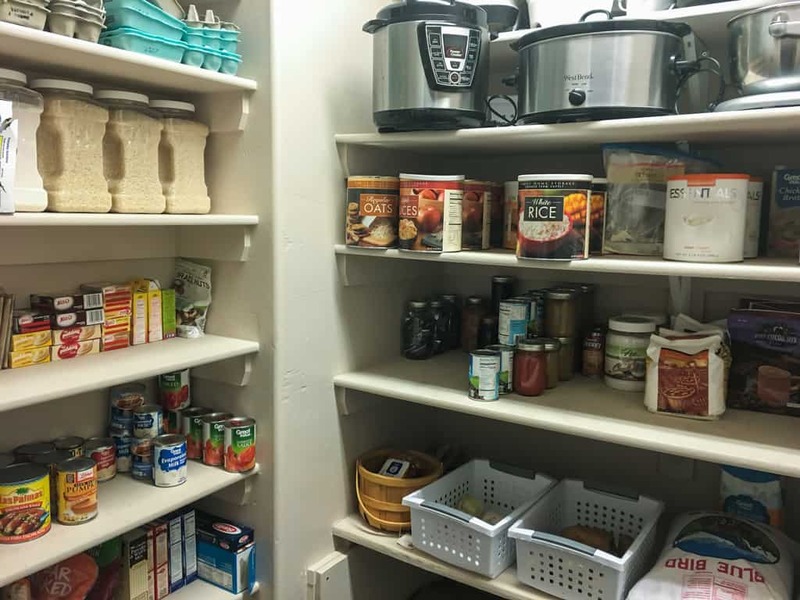 Advice: If you chose this method of food storage, you need to get organized. First, choose your recipes and figure out what it takes to make them. Next, you need to figure out when you are going to buy the food and how you are going to store it. Then, you need to keep notes of what you have and when you need to rotate it. You can find helpful information here, where you can download a helpful PDF to get you started. I think there is a use for all of these kinds of food storage in a well rounded emergency plan. Prepackaged Food is good for quick emergencies or in your 72 Hour Kit. You don’t have to change them out and they are easy to prepare. If you have to leave your house in an emergency they are more grab and go. Also, these foods usually only need water to prep, so you don’t have to have electricity or many ingredients in order to eat. Basics in Bulk are good to have if you are planning on needing large quantities of certain items like wheat for bread or beans for chili. Just make sure you know how to use these items ahead of time so you don’t get stressed out in the case of an emergency. Meals Your Family Loves is the basis of my home food storage plan. I prefer to have the bulk of my food storage in stock of things my family loves to eat and already knows how to make. If I get hurt in an emergency, my kids know how to make spaghetti or pancakes (as long as we have propane for the stove). They know how to cook meat or chili over the fire in a dutch oven, if necessary. By practicing these skills ahead of time, it makes eating these things in an emergency more manageable. The most important thing to remember about emergency food storage is that you do it. You may not have the money to do a year’s supply all at once (I don’t) but even a week at a time will work. Look for weekly sales at the grocery store and see what you can stock up on. Can and/or freeze produce from the garden for extra food storage. Double a recipe (like a lasagna or chili) and freeze the extras for later. All of these things will allow you to have extra food in the house in case of emergency. That emergency could include any disaster where you are stuck at home (blizzard, power outage, etc.) or job loss or illness. If these things do happen, you will be so thankful for the planning you put in ahead of time. You will feel more calm in your situation. You may be able to help others because you were prepared. What a great feeling that would be! Do you have a food storage tip or trick that works for you? Please let us know in the comments below. Thanks!